The Center’s staff is a team of passionate professionals that are leaders in their field. They work every day to fulfill the mission of the Center in their pursuit to transform public education. As the executive director, Corey leads a team of passionate professionals dedicated to transforming public education through leadership in chartering schools, overseeing and supporting their operations and evaluating their performance. Corey was named the executive director of the Center in March 2019 after more than 10 years of service at the Center. He began at the Center as the director of fiscal performance and accountability and also served as one of the Center’s deputy directors. As deputy director, Corey led several areas of the Center including, the charter application process, new school development, general administration, information technology and university relations. Most recently, Corey served as the Center’s interim executive director. 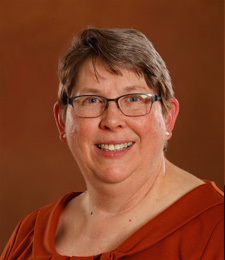 As deputy director for school performance at the Center, Barb is responsible for overseeing the operations and performance of the schools authorized by CMU. In this role, she leads a team of professionals that strive to ensure the relationship between the University and the schools it authorizes is built upon a shared vision and commitment, mutual trust and respect, and clear expectations. Barb began working for the Center in 2005 as a regional administrator and worked with challenged schools on improving their educational programs and business practices to more effectively serve students. She then became the Center’s director of field operations and has served as the deputy director for school performance since 2010. She is widely recognized and respected for her leadership in the industry and is dedicated to improving the lives of Michigan’s children. Prior to joining the Center, Barb was a teacher and later the director of instruction at a Detroit charter public school where she oversaw the development and delivery of instructional programs for a K-11 student population. During her tenure the school grew from 300 to 1100 students and earned the prestigious Golden Apple Award from the state of Michigan. She holds a juris doctorate from Wayne State University and a Master in Educational Leadership from Central Michigan University. Prior to joining the Center in his current role, Jason was a founder and the chief academic officer for a charter public school in Northern Michigan serving a PreK through 12th-grade student population. He also served as vice president at the National Charter Schools Institute, held various roles at the Charter Schools Institute of the State University of New York and has supported the work of schools and authorizers across the country as an independent consultant. Jason began his career in the classroom as a high school social studies teacher. 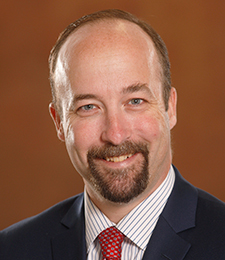 He holds a bachelor’s degree from Northern Michigan University and a Master of Arts in Educational Leadership from Central Michigan University. 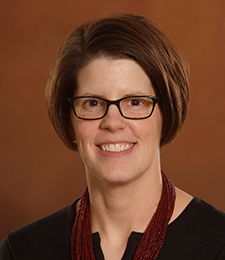 Laura leads the Office of Academic Performance & Accountability which is responsible for the oversight, support and evaluation of academic performance for CMU-authorized charter public schools. The office, in accordance with the charter contract, provides expert support to schools that assists in continuous improvement efforts, evaluates schools’ performance and oversees and monitors compliance with the contract and applicable law as it pertains the educational goal, educational program, curriculum, assessment and special education. When the Office of Academic Performance and Accountability is successful in its work, the Center will consistently be able to provide an evidence-based response to the question, “Is the academic program a success?” for all CMU-authorized charter public schools. Laura also assists in the examination of instructional pedagogy, implementation of school improvement processes and compliance to the charter contract and government regulatory agencies. Prior to joining the Center, Laura was a building administrator and served as the director of instructional support services for a national charter school management organization. She also worked with the Center for British Teachers, a London-based organization that facilitates school reviews in Europe, India and Asia. She holds certifications as a Cognitive Coach and Immunity to Change Coach and supports schools and business organizations in leading strategic change initiatives. 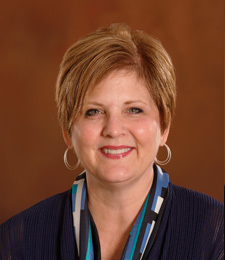 She attended Bob Jones University and Pennsylvania State University with a concentration in elementary curriculum and educational leadership. Valerie provides academic support to charter schools to aid improvement efforts. She has strategic and operational responsibility for oversight of Educational Program Reviews, Quality School Reviews and school support visits for CMU-authorized charter public schools. Valerie also facilitates professional learning opportunities in the area of instructional strategies. 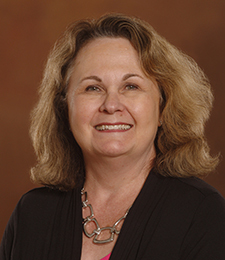 Prior to joining the Center, Valerie served as a curriculum and instruction specialist as well as a coaching and learning consultant for a national charter school management organization. Valerie was also a teacher at two charter public schools. She earned a Bachelor of Arts degree with an elementary education certification, and a Master of Education degree from Grand Valley State University. Sherry is responsible for the dissemination of various school assessment data and providing support for understanding and applying the data to school improvement solutions. She also works with schools to develop and administer assessment programs through systems such as M-STEP, Measures of Academic Progress®, Scantron’s Performance Series® and the PSAT/SAT®. Sherry works with schools through the Falcon Initiative where she guides schools in establishing a strong data culture while also assisting schools in the utilization of assessment data to foster academic improvement. With the Falcon Initiative she also assists schools in identifying a problem of practice as well as effective related teaching practices. Sherry provides further support through professional learning opportunities in the area of assessment. 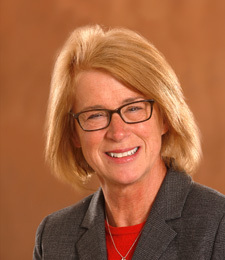 Prior to joining the Center in 2010, Sherry served as a school counselor and assessment coordinator at a charter public school in the Detroit area. Sherry is also a certified 6+ teacher and taught high school in a traditional public school bordering Detroit. She holds a bachelor’s degree in secondary education and a master’s degree in school counseling from Wayne State University. Sandra coordinates Educational Program Review (EPR) site visits as well as professional learning opportunities (PLO). She is a seasoned school reviewer with expertise in coordinating and collecting evidence on the implementation, delivery and support of a school’s instructional program. In addition to organizing EPR visits and PLO events, she also serves as the liaison between the academy and vendors contracted by the Center to conduct Quality School Review visits. 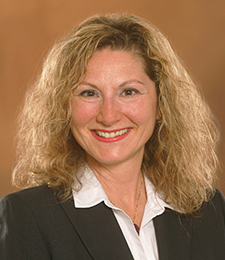 Prior to joining the Center, Sandra was involved with curriculum development and oversaw assessment administration, including the MEAP and Scantron’s Performance Series® test, at a charter public school in Dearborn. She holds a teaching certificate with elementary and secondary endorsements from the state of Michigan and has worked as a middle school teacher. She earned her Bachelor of Science degree from Michigan State University and her Master of Arts degree from Eastern Michigan University. Mandy provides site support to CMU-authorized charter public schools to strengthen their improvement efforts. She also has strategic and operational responsibility for oversight of Educational Program and Curriculum Document review processes for schools prior to reauthorization. Mandy works with schools through the Falcon Initiative where she guides schools in establishing a strong data culture while also assisting schools in the utilization of assessment data to foster academic improvement. With the Falcon Initiative she also assists schools in identifying a problem of practice as well as effective related teaching practices. 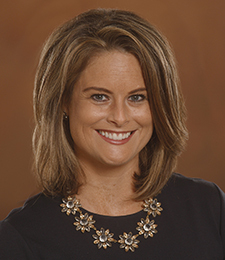 Prior to joining the Center, Mandy was an education manager for a national management company for private academies and served as both an instructional support services manager and a coaching and learning consultant for a national charter school management organization. She has a Bachelor of Science and Master of Arts in elementary education from Western Michigan University. She also earned a master’s degree in educational leadership from Grand Valley State University. Karen provides assessment related support and oversight to CMU-authorized charter public schools. Her responsibilities include oversight and management of assessment related compliance documents, submissions and reports as well as third-party and web-based assessment sites on behalf of CMU-authorized charter public schools to ensure accurate data collection and dissemination. Karen earned a bachelor’s degree from Michigan State University and a master’s degree from Western Michigan University, both in geology. Mark provides oversight and support to CMU-authorized charter public schools for their delivery of special education services and support. He conducts onsite visits to help schools comply with federal, state and local special education rules and regulations. He also serves as a liaison for schools to state and intermediate school district special education staff and stays current on changes in special education rules and regulations. Currently, Mark also serves as a faculty member in the Department of Counseling and Special Education at Central Michigan University. He holds a Bachelor of Science from the University of Nevada, Las Vegas and a Master of Educational Administration from Grand Valley State University. Orlando leads the Office of Board Appointments and Development and directs the oversight of the board member recruitment and appointment process. He also leads the Center’s professional development initiatives for board members through the Board Development Series. These training and development programs are offered to ensure that board members have the necessary skills to successfully execute their duties to govern high-performing charter public schools. Other programs that Orlando implements include the Center’s New Board Member Orientations and Board President Roundtables. Prior to joining the Center in 2003, Orlando worked in other departments at Central Michigan University, including Student Life. He holds a Bachelor of Science degree and a master’s degree in administration from Central Michigan University. Shannon assists in the coordination and development of public school academy board members within the Office of Board Appointments and Development. In this capacity, she supports the Center in new school board member development, as well as developing content and implementing the Board Development Series. 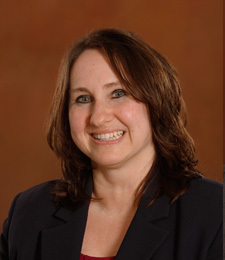 Prior to joining the Center, Shannon worked as a trust officer for Comerica Bank. She holds a Bachelor of Science degree in international business and corporate finance from Central Michigan University. 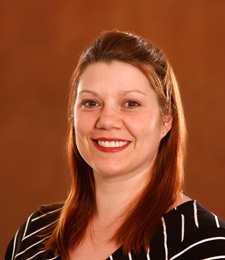 Amy is responsible for directing the Center’s functions associated with charter contract accountability, which includes reauthorization, compliance and oversight, contract amendments, teacher certification reviews, site and facilities, educational service provider and lease agreements. 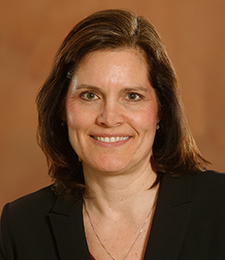 Prior to joining the Center in 2009, Amy served as the chief financial officer and director of leadership development for the National Charter Schools Institute. 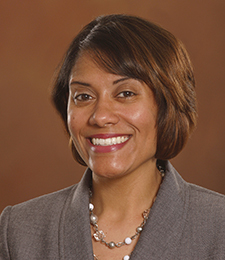 She also worked as the director of business services for the Michigan division of a charter public school management company and served as the director for oversight and assistant director for finance at the Center. She holds a bachelor’s degree in business administration from the University of Maryland. Megan is responsible for development of charter contracts for schools undergoing reauthorization as well as newly authorized schools. Megan is also responsible for maintaining familiarity with charter public school issues, plans and challenges and recommends action, as appropriate, on behalf of the Center. Prior to joining the Center, Megan worked in local government providing a variety of administrative services to municipalities within the state of Michigan. She earned both her bachelor and master’s degrees from Central Michigan University in the area of public administration. Jennifer provides assistance in the areas of contract amendments, providing expertise and guidance to schools on the application and amendment processes, required contract documents as well state department and authorizer requirements. In this capacity, Jennifer performs document reviews, coordinates special projects and interfaces with development teams and school personnel. 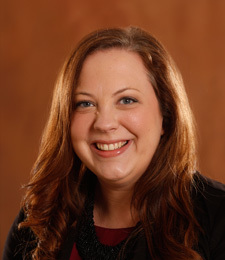 Jennifer joined the Center in 2004, having previously worked in various administrative roles at Davenport University and William Tyndale College. Jennifer holds a Bachelor of Arts degree from William Tyndale College. Terri is responsible for the review and assessment of certain documentation, ensuring compliance with contract reporting requirements and applicable law through the efficient and effective use of Epicenter. She maintains familiarity with charter public school issues, plans and challenges and recommends action, as appropriate, on behalf of the Center. Furthermore, she ensures all charter public schools have a fair and equitable application and enrollment process. 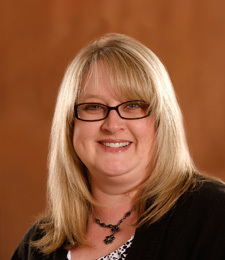 Terri holds a Bachelor of Arts degree in communications from Michigan State University and a master’s degree in administration with a public administration concentration from Central Michigan University. 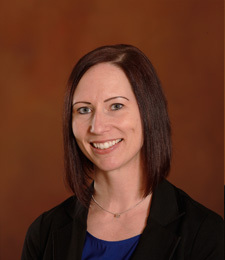 Nichole is responsible for reviewing all educational programs, curriculum and methods of pupil assessments to ensure alignment to the requirements of the charter contract, including new school applications, amendments to existing contracts and reauthorization contracts for CMU-authorized charter public schools. Nichole earned a Bachelor of Science in Education degree in early childhood studies from Bowling Green State University. Lisa is responsible for the annual development and dissemination of the Center’s Master Calendar of Reporting Requirements. She coordinates and oversees the Center’s processes regarding school staff review and site and facility reviews. In addition, Lisa coordinates the Center’s complaint process relating to external school parties. 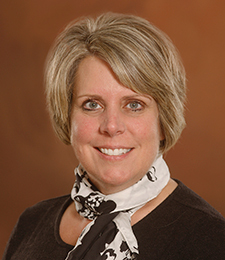 Lisa earned a Bachelor of Science degree in health promotion and rehabilitation and a master’s degree in educational administration from Central Michigan University. Davie is responsible for providing the Center with accurate and timely information to support school performance and accountability efforts and inform public policy. He leads a team who assists in the analysis and interpretation of data to explain past patterns of performance and predict future trends. Davie also ensures the Center is well positioned to advance using data to inform authorizing practices and to target resources to more effectively determine and improve the performance of CMU-authorized charter public schools. 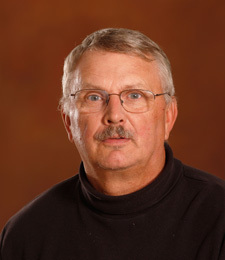 Prior to joining the Center, Davie was a math teacher for 10 years and worked for Guilford Community College and the University of North Carolina at Greensboro. 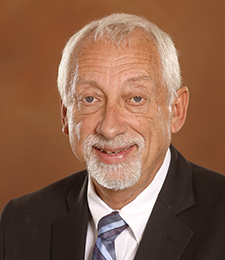 He earned his doctorate of philosophy degree and master’s degree in educational research, measurement and evaluation from the University of North Carolina at Greensboro. 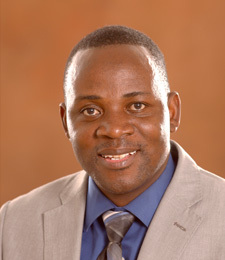 He also has a bachelor’s degree in chemistry and mathematics from the University of Malawi. Shada serves as a school lead, providing expertise and guidance to schools on issues related to school operations, governance, general compliance and student achievement. She meets regularly with individual schools, attending board meetings, overseeing site visits and discussing each school’s unique areas of success and opportunity. 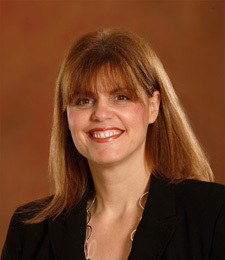 Prior to joining the Center, she was the executive director of the Michigan Society of Professional Engineers. She has also held various roles throughout her career at statewide trade associations and owned a public relations and marketing firm. Shada has a Bachelor of Arts in Communications from Michigan State University and a Master of Science in Administration from Central Michigan University. Meagan serves as a school lead, providing expertise and guidance to schools on issues related to school operations, governance, general compliance and student achievement. She meets regularly with individual schools, attending board meetings, overseeing site visits and discussing each school’s unique areas of success and opportunity. Prior to joining the Center, she was the founding principal at a charter public high school in Detroit. She has also served in various roles including assistant principal, advisor and teacher at several schools in Detroit throughout her career. Meagan has a Bachelor of Science degree, Educational Specialist degree and Master of Education degree from Wayne State University. Bill serves as a school lead, providing expertise and guidance to schools on issues related to school operations, governance, general compliance and student achievement. He meets regularly with individual schools, attending board meetings, overseeing site visits and discussing each school’s unique areas of success and opportunity. Prior to joining the Center, he was an educational consultant specializing in Teacher Evaluation systems, and worked for the Waterford School District as director of curriculum and professional development and as principal at both the elementary and middle school levels. Bill has a Bachelor of Science degree from Wayne State University and a Master of Education degree from Pacific Western University. He has also done further graduate work at Wayne State University, Marygrove College and Oakland University. Kandy serves as a School Lead, providing expertise and guidance to schools on issues related to school operations, governance, general compliance and student achievement. She meets regularly with individual schools, attending board meetings, overseeing site visits and discussing each school’s unique areas of success and opportunity. 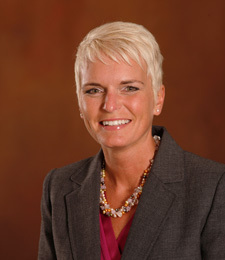 Prior to joining the Center in 2010, Kandy held positions at Walsh College, Henry Ford Community College and Ferris State University. She holds bachelor’s degrees in political science and broadcasting from Central Michigan University, as well as a master’s degree in career and technical education from Ferris State University. Ed serves as a school lead, providing expertise and guidance to schools on issues related to school operations, governance, general compliance and student achievement. He meets regularly with individual schools, attending board meetings, overseeing site visits and discussing each school’s unique areas of success and opportunity. Before joining the Center in 2001, Ed held various positions with the Michigan Department of Social Service including caseworker, investigator and director of the office of inspector general. In 1990, he was appointed deputy director of the department. 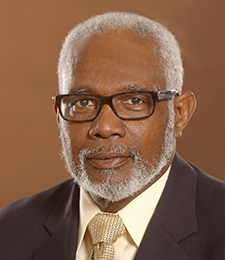 He has served on various boards, including a charter school board and the Michigan Committee on Juvenile Justice. He holds a bachelor’s degree in criminal justice, completed extensive study of public policy administration and executive leadership, and was a social work license holder. Jonathan serves as a school lead, providing expertise and guidance to schools on issues related to school operations, governance, general compliance and student achievement. He meets regularly with individual schools, attending board meetings, overseeing site visits and discussing each school’s unique areas of success and opportunity. Prior to joining the Center, he was a middle school technology teacher. His more than 20 years working in corporate America in management, human resources and training provided him the experience to move into the role of director of operations with an educational service provider. Jonathan has been the lead project manager on numerous school building and renovation projects. He holds a Bachelor of Science degree in education from Kent State University. Suzanne performs oversight duties within the Office of Fiscal Performance and Accountability. She monitors charter schools’ compliance with insurance requirements, reviews educational service provider agreements, financings and leases. Prior to joining the Center, Suzanne worked as a financial analyst for Nefhouse Enterprises and JP Lann Golf. She holds a Bachelor of Science degree in hotel and restaurant management from Kansas State University and a master’s degree in business administration from the Illinois Institute of Technology. Marie performs oversight duties within the Office of Fiscal Performance and Accountability. In this capacity, she provides guidance and expertise to schools related to their budgets, quarterly financial statements, audited financial statements and overall financial performance. Before joining the Center in 2010, Marie served as a financial specialist for Michigan’s Department of Energy, Labor and Economic Growth. She holds a bachelor’s degree in finance from Michigan State University. Jonathan works with the New School Development unit which is responsible for the transformation of taking a successful candidate from an application to fully operational school. This new school start-up process is designed to partner with the best of the best and provide guidance to new schools as they navigate through the rigorous requirements of becoming a school. The new school development team helps position the school to open as if it has been in operation for three years and is poised for success and growth. Prior to joining the Center in 2013, Jonathan served in various roles at Western Michigan University. He has a bachelor’s degree in political science from Saginaw Valley State University and a Master of Public Administration from Western Michigan University. Jennifer provides assistance in the areas of new school development and contract amendments, providing expertise and guidance to schools on the application and amendment processes, required contract documents as well State Department and authorizer requirements. In this capacity, Jennifer performs document reviews, coordinates special projects and interfaces with development teams and school personnel. 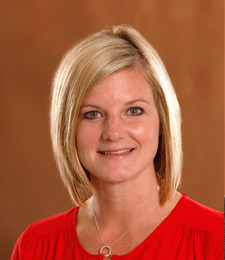 Prior to joining the Center in 2004, she worked in various administrative roles at Davenport University and William Tyndale College. Jennifer holds a Bachelor of Arts degree from William Tyndale College. Janelle is responsible for planning, executing and evaluating projects related to internal and external communications. She assists the Center with social media, marketing materials, website development and communications publications. 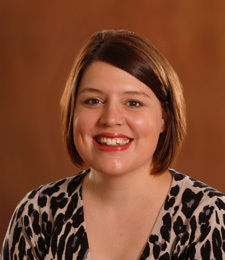 Prior to joining the Center in 2015, Janelle served as a legislative staff member for several state legislators in the Michigan House of Representatives. She has a bachelor’s degree in integrative public relations from Central Michigan University. 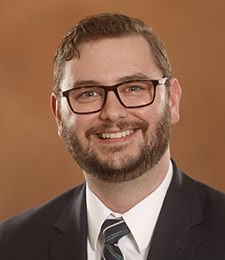 Jason is responsible for evaluating the impact of state and federal programs on charter public schools and serves as a liaison with governmental agencies, legislative offices, education reform organizations and charter public schools boards. 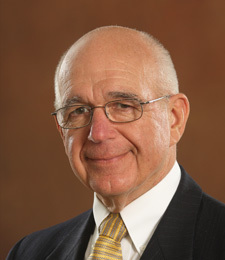 He is a vital part of educating stakeholders on all aspects of charter authorizing and the importance of school choice. Prior to joining the Center in 2017, Jason served as the director of government affairs for a statewide education advocacy organization. 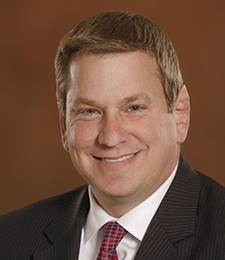 He has also served as a policy advisor focusing on education in the Michigan House of Representatives. He has a bachelor’s degree in political science from Oakland University and a Master of Public Administration from Eastern Michigan University. 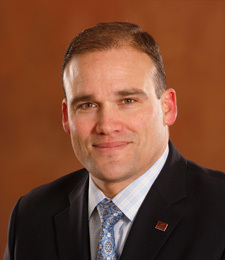 Tim provides leadership and direction with initiatives that create and establish enriching connections between CMU, CMU students, CMU faculty and CMU-authorized charter public schools. He has worked in various leadership roles at the Center from special advisor of new initiatives to business services. Tim has worked to create, support and guide the development, management and licensing of many of the Center’s innovative projects. Examples of his current efforts include the Charter School Educator Award, Camp Central for College Candidates and the Spirit of the Future scholarship program. 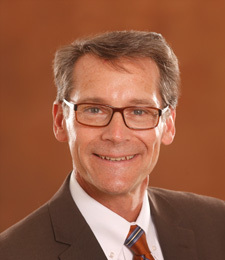 Prior to joining the Center in 2003, Tim worked in the legal field in the areas of intellectual property law, corporate law and education law. 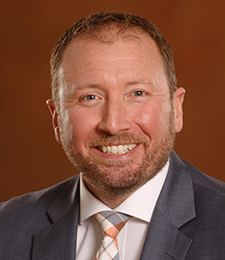 He has a Bachelor of Science degree from Central Michigan University and a juris doctor degree from the Pierce Law Center, now a part of the University of New Hampshire. He has also been a member of the Mt. Pleasant Public School Board of Education since 2008 and is currently in his fifth term as board president. For information regarding employment opportunities at The Governor John Engler Center for Charter Schools, visit the Central Michigan University website.